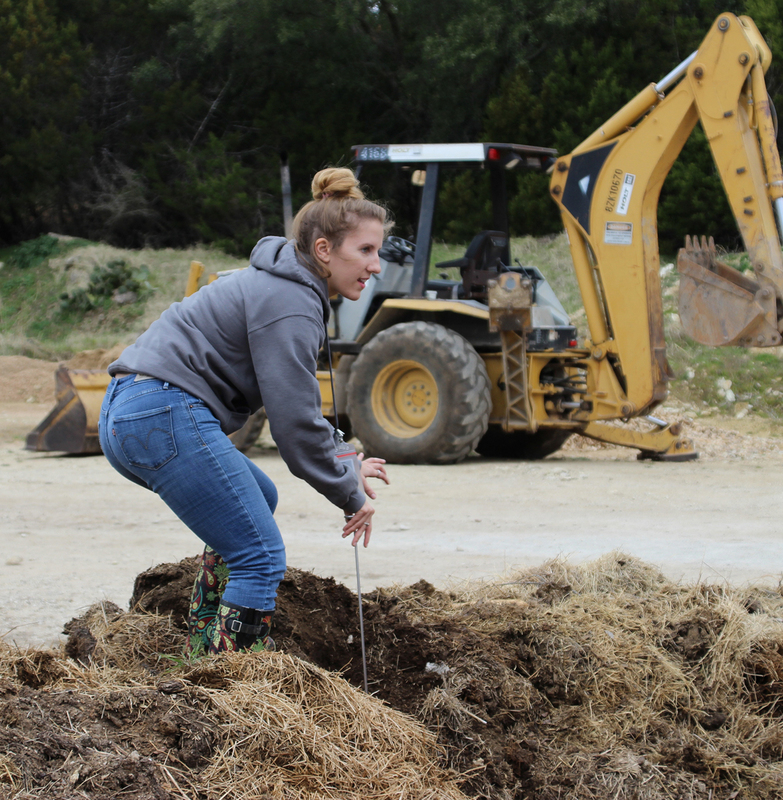 The Fossil Rim Natural Resources Department has a lot to keep them busy throughout the wildlife park, but that hasn’t deterred Caitlin Pyle and Vanessa Hays from venturing into nearby Glen Rose to provide an ecofriendly education. 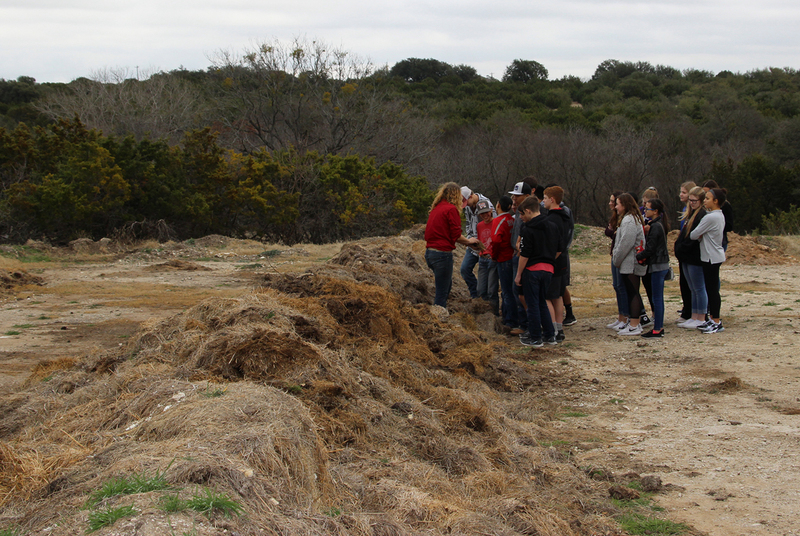 Several different Glen Rose Junior High science classes visited Fossil Rim’s composting facility on Feb. 1. The students have been donating their food waste (fruit, vegetables, bread) to Fossil Rim since the calendar turned to 2019, but this was a chance to actually see where it goes after they toss an apple core into the Fossil Rim recycling bin in their lunchroom. 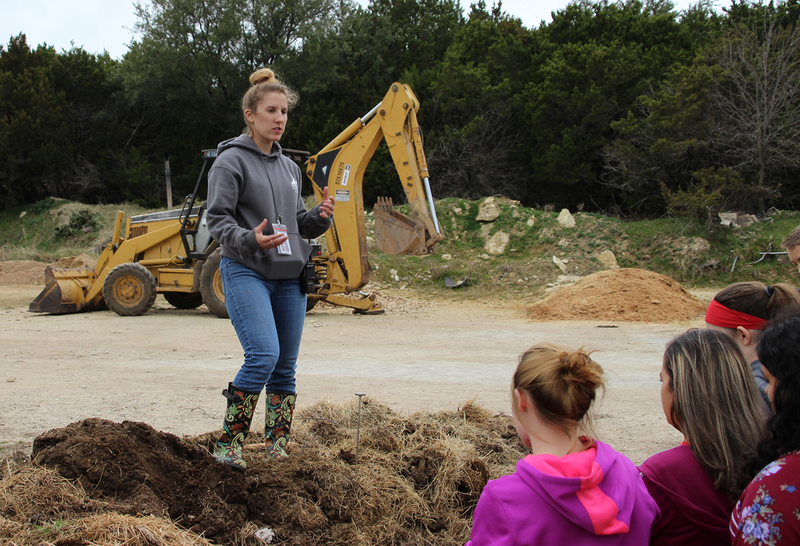 “It is so important for them to actually see the connection of their food waste and our compost,” said Natural Resources Manager Caitlin Pyle of the visiting Glen Rose Junior High students. 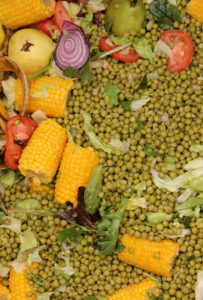 “You can tell them at school, but seeing the destination of the food waste is different. We have a bin at the junior high and one at the intermediate school. 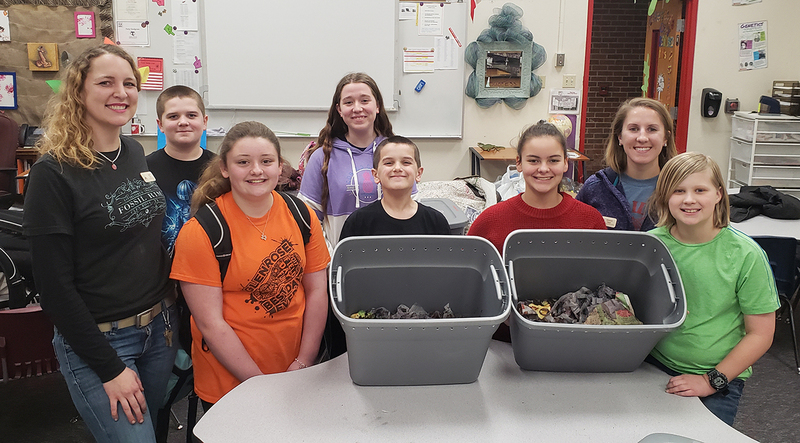 They can put fruits, vegetables and bread in the bins.” Pyle and Natural Resources Management Specialist Vanessa Hays hosted junior high science classes in early February as part of their ongoing education provided for multiple local school campuses. 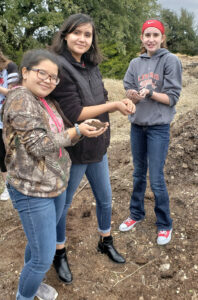 “Early in 2017, I had the thought that a great way to utilize our Memorandum of Understanding with Glen Rose ISD was through composting with kids in the schools,” said Pyle, natural resources manager. “I wanted to start with the younger kids who wouldn’t be as set in their ways, so I met with the science teachers and principal at Glen Rose Intermediate School, laid out my plan and asked if we could make it happen. We did our pilot program during 2017 summer school to work out logistics, but I learned you can’t have everything set up perfectly with a new program. Hays, natural resources management specialist, was hired in the summer of 2018 after learning as an intern under Pyle. The duo has been really pleased to see GRISD teachers and students sharing their enthusiasm. 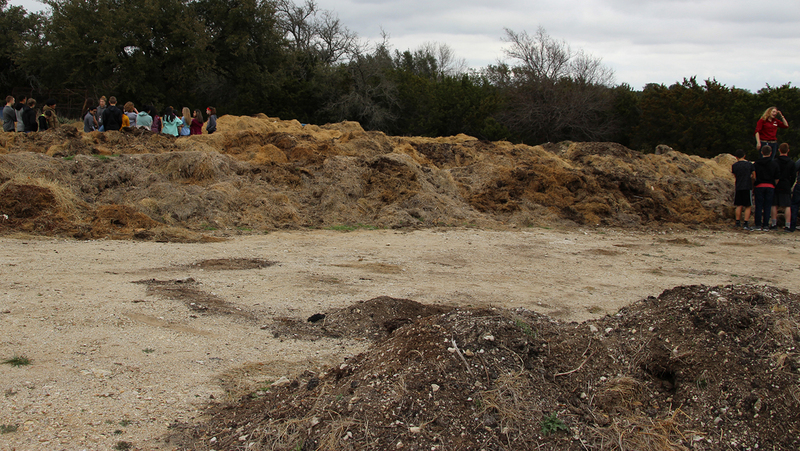 Composting has been in play at Fossil Rim for a long time, but things have really ramped up in the last two years. 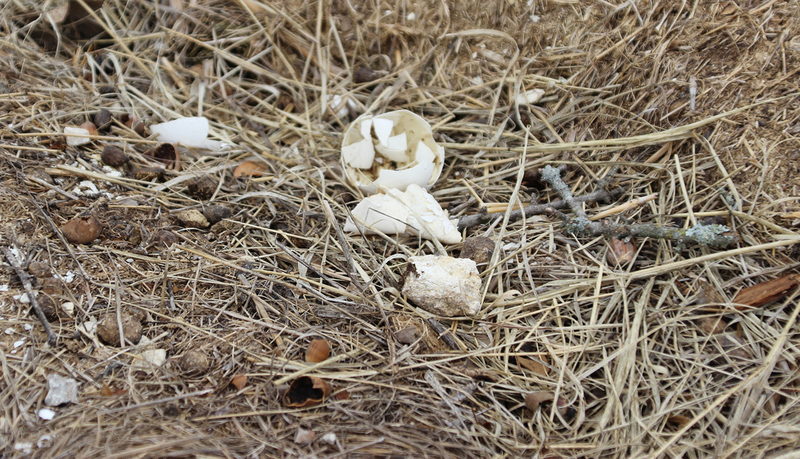 “Composting used to be very casual here, as it was foremost a means to utilize the animal manure produced at Fossil Rim,” Pyle said. “I was told that about 10 man hours per year used to be invested into our compost. We have 114-plus acres of hay fields and an oat field, so even now we still cannot produce enough compost to fill that entire demand, but we continue to work on that. “When our support services department has used all of our compost, that’s when they supplement commercial fertilizer for the remaining acres. They also use our compost for erosion control to grow Bermuda grass in certain areas and beautification projects. For example, when we got a new route in many places as the Gosdin Scenic Drive was built, that left the former route as bare soil where pavement used to be. 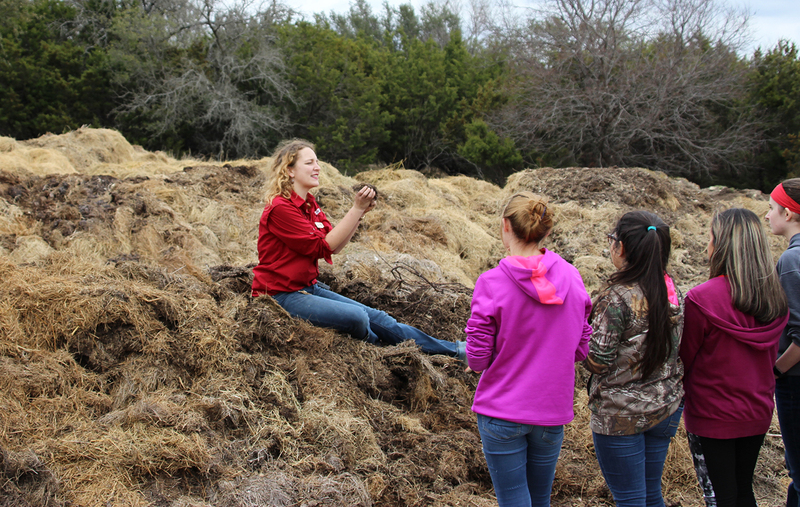 What literally goes into Fossil Rim compost? 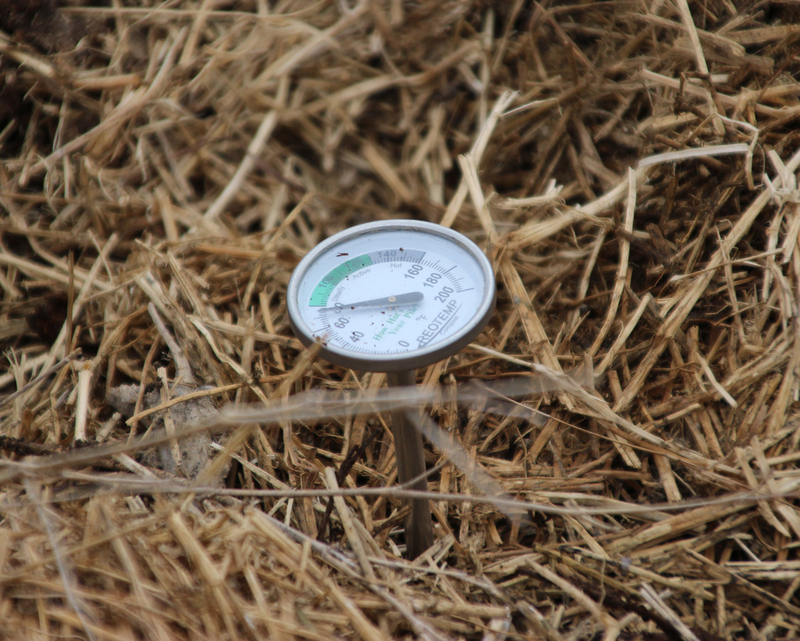 A compost thermometer provides a nonintrusive check on the temperature of the inside of a compost windrow. 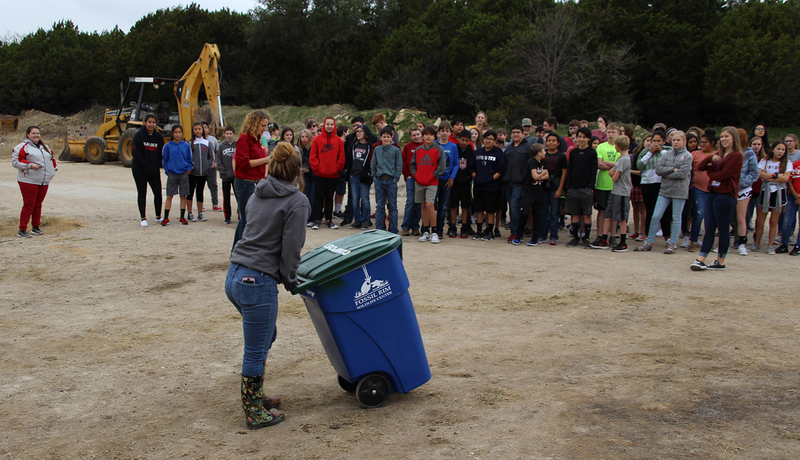 Hays goes to the school campuses twice a week to collect food waste from each of the two Fossil Rim bins. 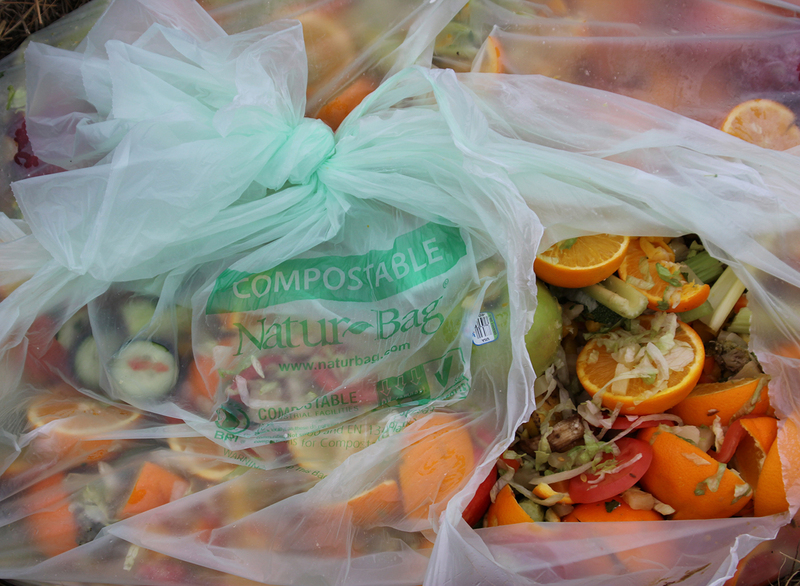 Pyle estimated that 60-65 percent of the food waste that goes into the compost is from the schools, while 30 percent is from the Overlook Café and 5-10 percent is from Fossil Rim’s Safari Camp kitchen. Cruz Espino from Fossil Rim’s Support Services Department does daily collection from the café and camp kitchen. The compost facility has five windrows – long lines of material heaped up by a machine; stage 1-4 windrows can be up to 120 feet long, while the windrow of finished compost is much smaller. 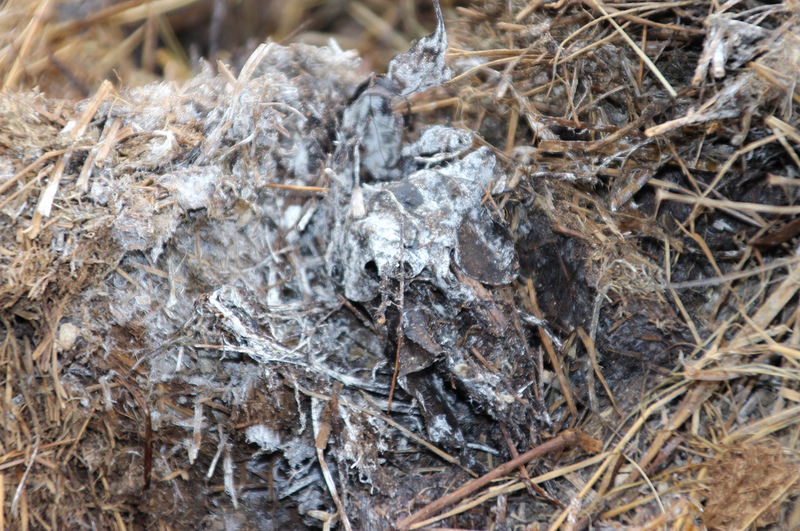 During the stages, the material is going through a progression of decomposition. 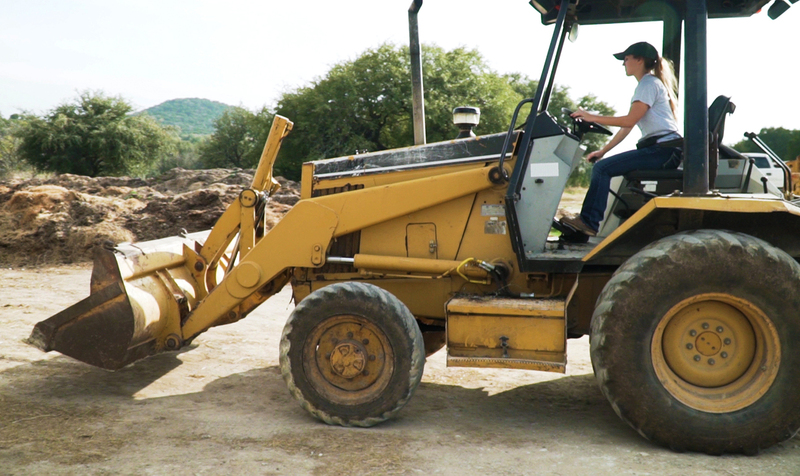 Vanessa Hays uses the backhoe to manipulate Fossil Rim’s compost windrows, which can reach 120 feet long. 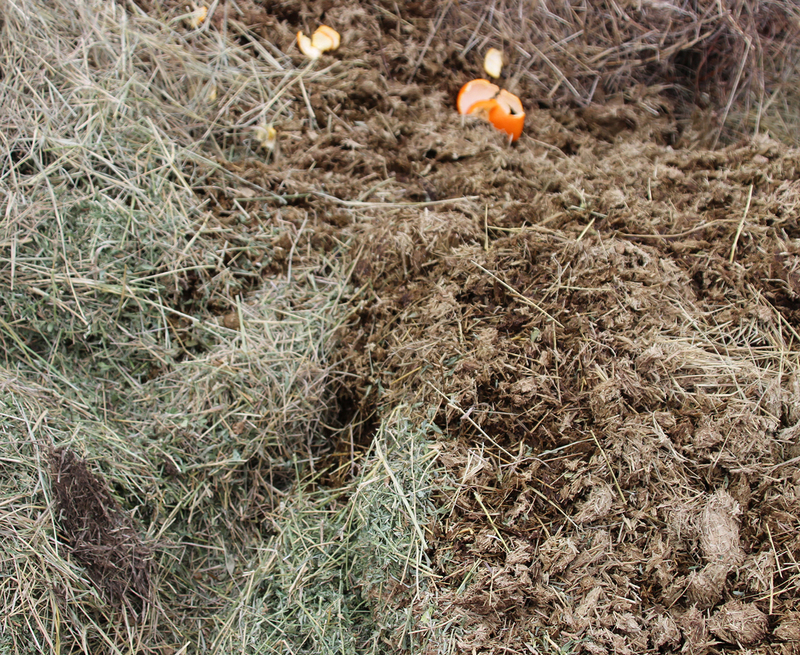 The compost needs to be turned over periodically to stimulate even decomposition of the materials. Weather permitting, Hays will generally flip the windrows once a week if the backhoe is available. 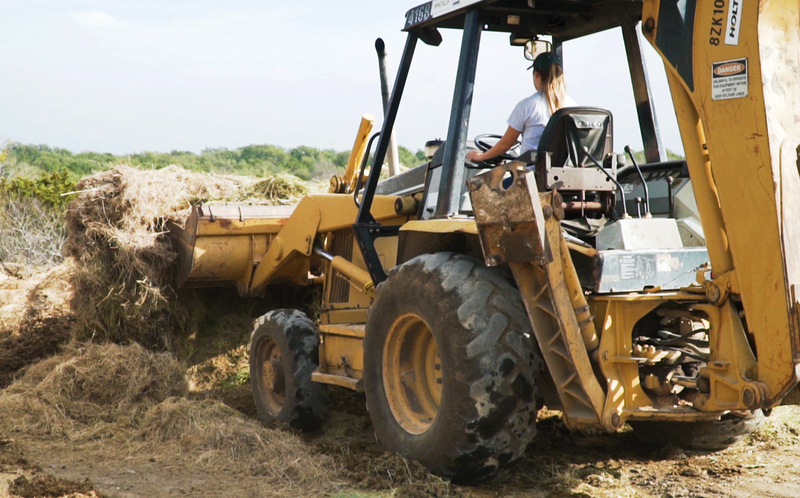 She started from scratch on her backhoe skills and has worked to be proficient. Pyle is often occupied elsewhere, as the natural resources department is multi-faceted. 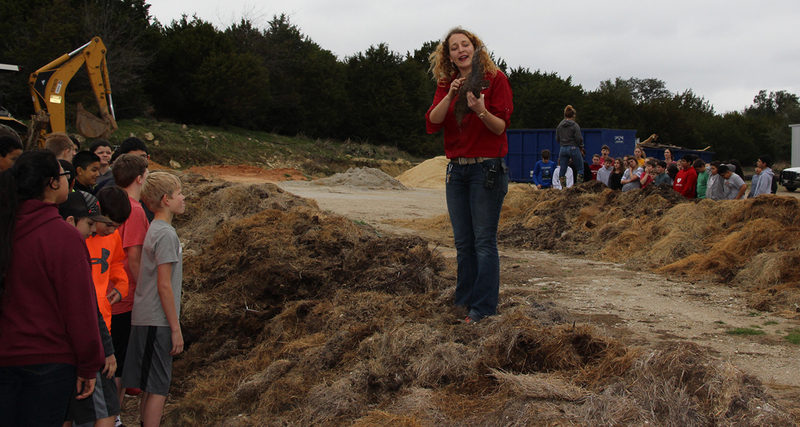 Vanessa Hays discusses a stage-one compost windrow with the junior high students. 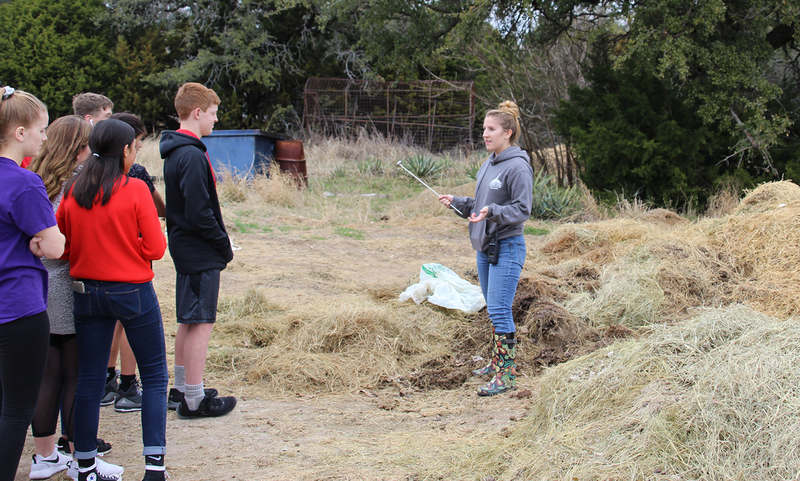 “We can’t be with the students as often as their teachers, so when we are together it is important to prepare them to be able to compost on their own if that’s something they want to do,” said Caitlin Pyle. Having taught the art of composting on multiple school campuses, Pyle has learned to craft the message based on her audience. Speaking of the teachers, seventh grade science teacher Charla Arendt was one of the educators to visit with the students in early February. Arendt observed as Pyle and Hays separated the visiting students into two groups and headed to different windrow stages. “I think they’ve done an excellent job,” she said of the duo. “They want to keep students engaged and give them as much information as possible. It’s been fun, as a teacher, to see somebody else interact with the students that way and share their knowledge. The students often comment about how long the composting process takes and all the work that goes into it. Arendt hopes experiences like this help mold the ecofriendly mindset of the students as they grow. 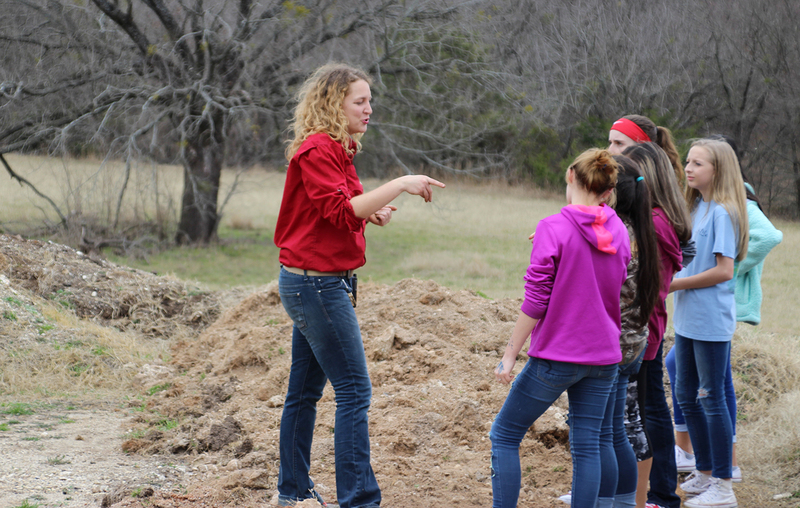 The progressive environmental mindset of these Glen Rose schools is not lost on Pyle. 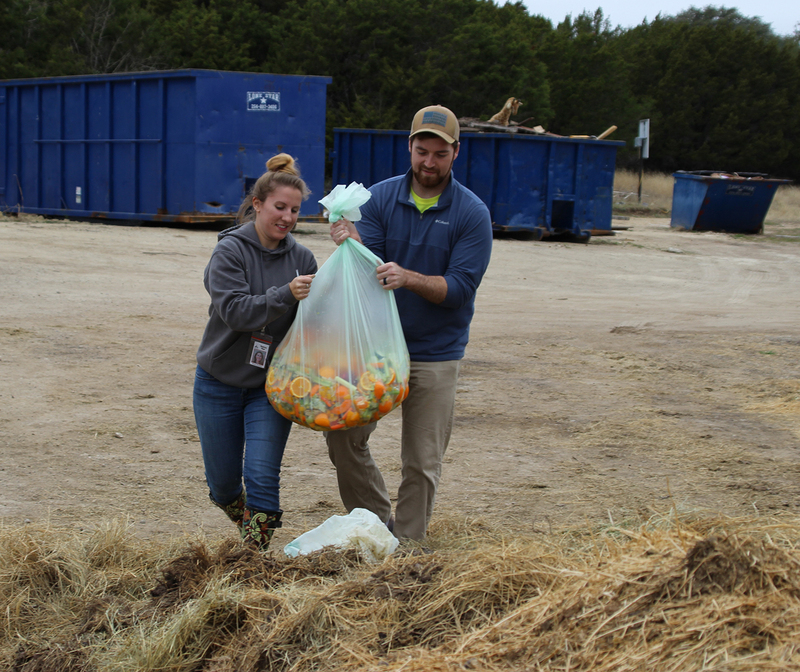 In addition to branching out to the high school, Pyle and Hays are in discussion about where they will take the students at these current campuses beyond composting. Effective teaching is aided by a teacher’s own interest. 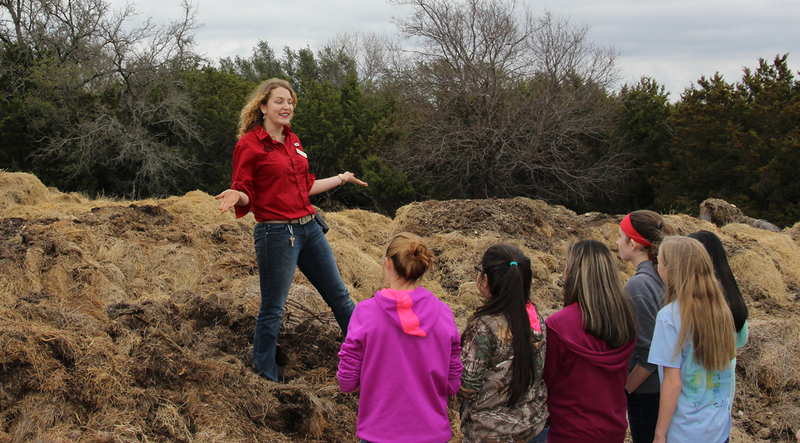 “These girls are so excited about composting; it’s encouraging to see that enthusiasm,” said Caitlin Pyle. Pyle is getting a lot more done around Fossil Rim now that she has a right-hand (wo)man, and Hays has been accumulating knowledge and skills daily. “Vanessa started as an intern for natural resources, and she was such a valuable contributor that I championed to get her hired,” Pyle said. “We are a great team. Our different teaching styles allow us to reach a greater variety of people. 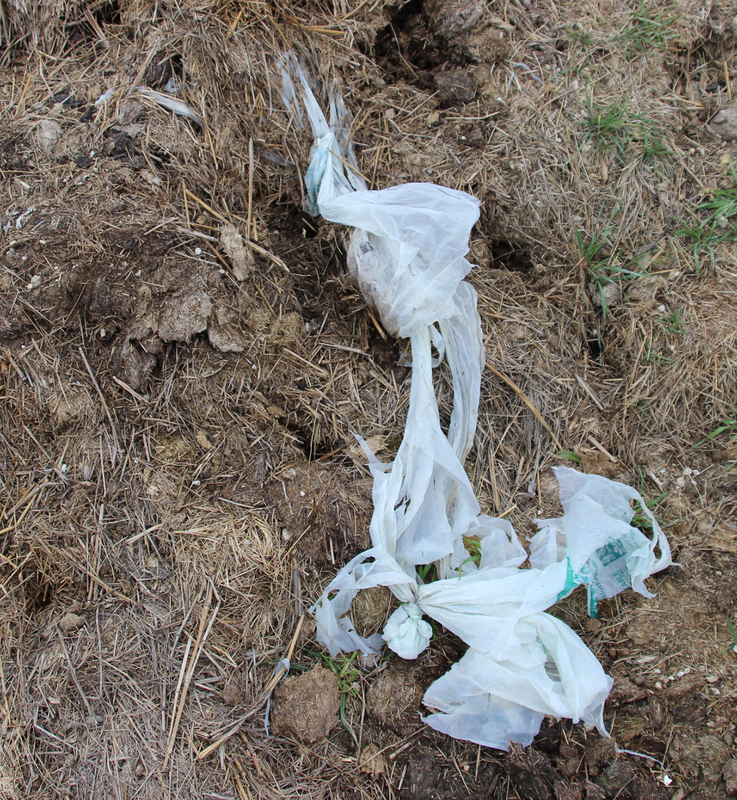 “It’s neat for the kids to see one of our compostable bags months down the road toward its decomposition,” said Caitlin Pyle. The office of the natural resources department is right beside support services, and these women have taken the opportunity to learn all sorts of skills when their busy schedules allow. 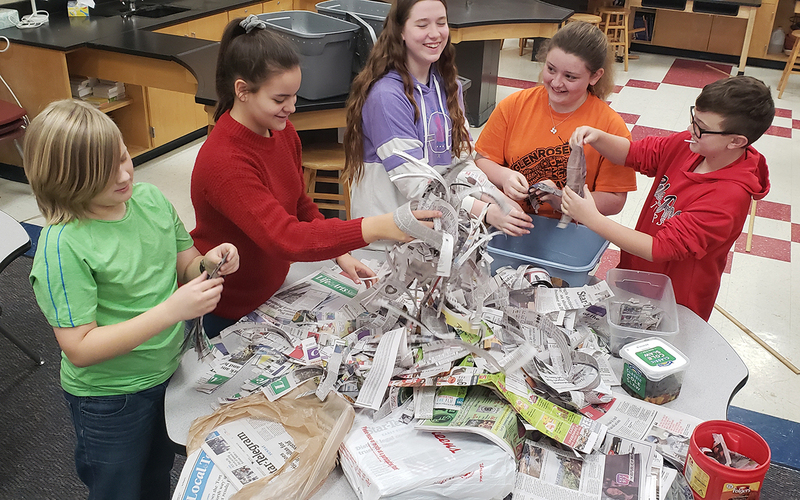 Caitlin Pyle and Vanessa Hays visited Glen Rose Junior High to help students in the Destination Imagination program build worm composting bins. Like Pyle did after she transitioned over from the education department, Hays is all about accumulating on-the-job skills. Caitlin Pyle talks about the presence of actinomycetes bacteria during the decomposition process. 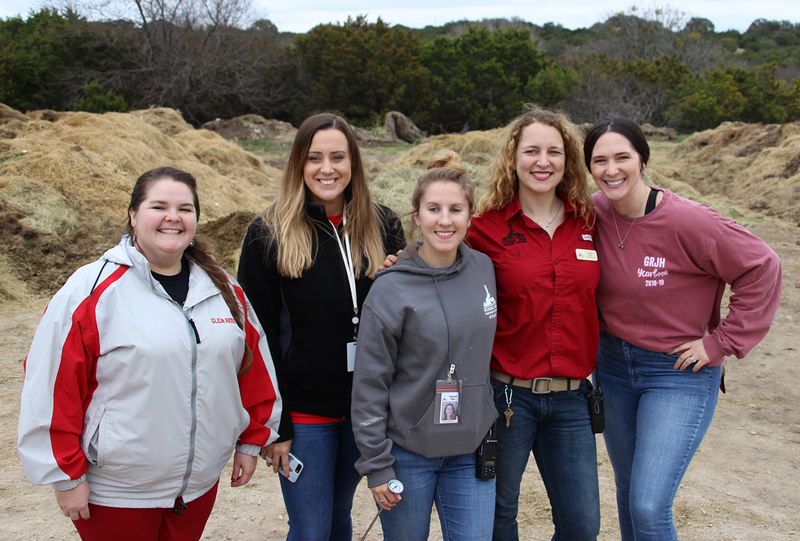 Whether they are the teacher or the student, the ladies of Fossil Rim’s Natural Resources Department are all about education and the next enlightening experience.